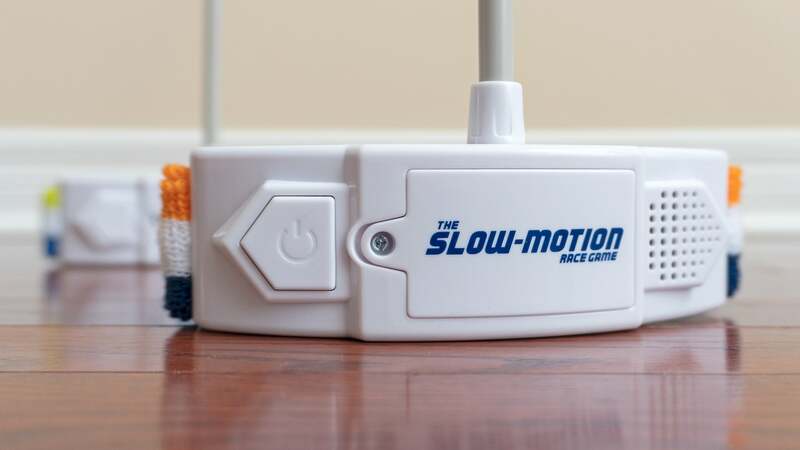 Even awkwardly tripping and stumbling on a throw rug would look super cool when played back in slow motion, as YouTube channels like The Slow Mo Guys have shown us time and time again. But with Hasbro’s new The Slow-Motion Race Game players don’t need a £100,000 high-speed camera to create a slow-motion effect; just lots of patience, steady pacing, and a willingness to potentially embarrass themselves. 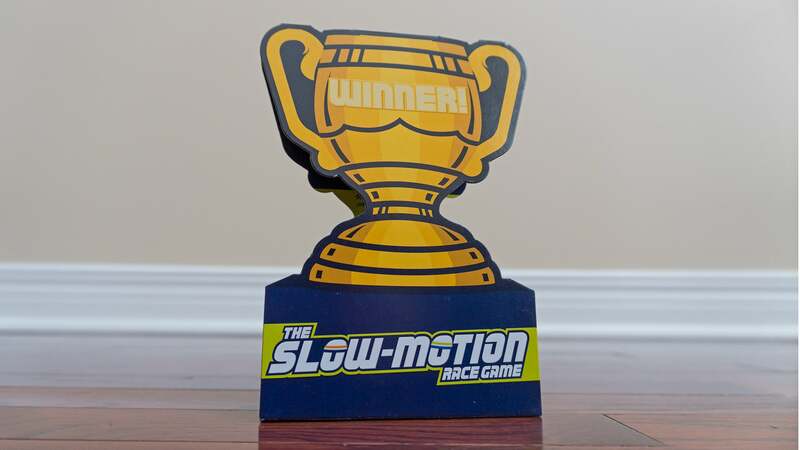 The Slow-Motion Race Game (available in early August) is yet another party-focused title designed to provide more entertainment for spectators than those who are actually competing. 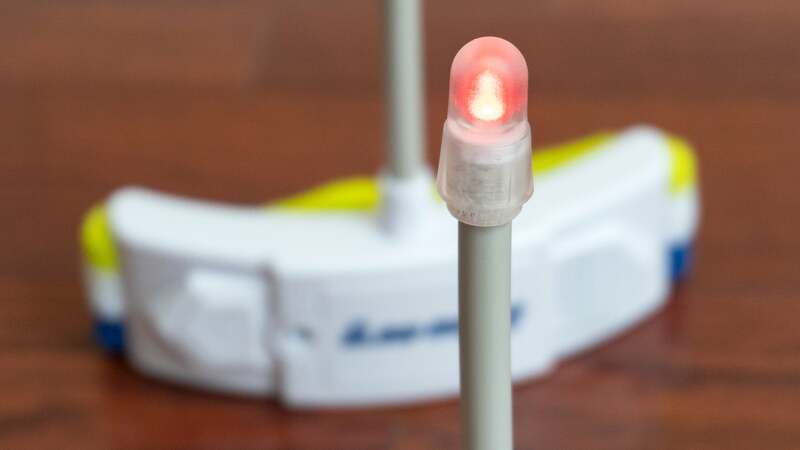 It’s played using a pair of headbands that have been outfitted with buttons, speakers, flashing lights, and motion-sensors which facilitate the unique gameplay. 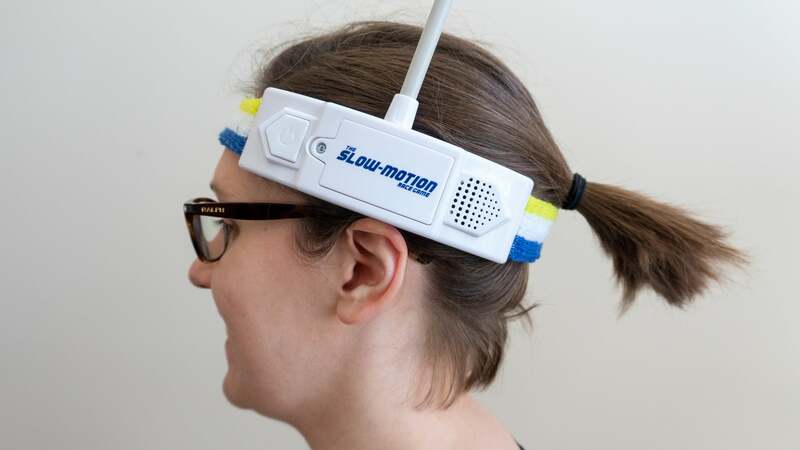 A stretchable strap ensures the headbands will easily fit even the largest of heads, but the compartments that house the batteries (two x AAAs) and electronics aren’t exactly tiny. I don’t expect to find bleeding-edge technologies in a $20 (£16; UK pricing and availability TBA) party game, and the headbands are comfortable enough given you’re not wearing them for hours on end, but I do wonder why Hasbro didn’t develop The Slow-Motion Race Game as an app given we’re all carrying smartphones with essentially the same technology already built-in.